Previously, we have posted an article about How to Play YouTube Videos in Slow Motion, for various reasons, you may want to play a video backwards. It can be for fun, for a demonstration, for a lecture or anything. With some of the Best Video Reverse Software in 2018, we can make a video played backwards easily. Here are some detailed steps of playing video clips backwards or in reverse mode in your Windows and Mac. In the end, a video tutorial about how to play video in reverse is for you. Note: If you are interested in play video backwards with some online editing solutions, check our Top Free Online Video Reverse Software. As one of the best video editor for beginners, Filmora9 provides an intuitive interface which allows video editing newbies to get familiar with it fast. You can play video backwards with just one click. Normally, what you see is what you get. You can do some basic video editing such as cutting, trimming, deleting, merging, rotating and flipping. But Filmora9 also features some advanced video editing tools such as green screen (chroma keying), color tuning, video stabilization and speed adjustment. Check the new features of Filmora9 to know more. Change video speed and make the video in reverse is easy in Filmora9, just follow the 3 steps below to playback a video backwards. Step 1: After dragging and dropping the target video into timeline, right click the video clip to choose Speed and Duration. Step 2: Tick the option Reverse Speed, then the video will be played in reverse. You can also change the video backwards speed by adjusting the Speed slider. Step 3: Play the video in the Preview window to check the reverse result and then click EXPORT to output the reversed video clip. You can then save the reversed video in different formats or upload to YouTube and Vimeo directly to share. Adobe's Premiere is a very powerful video editing and production tool that comes with various features to output a professional video. 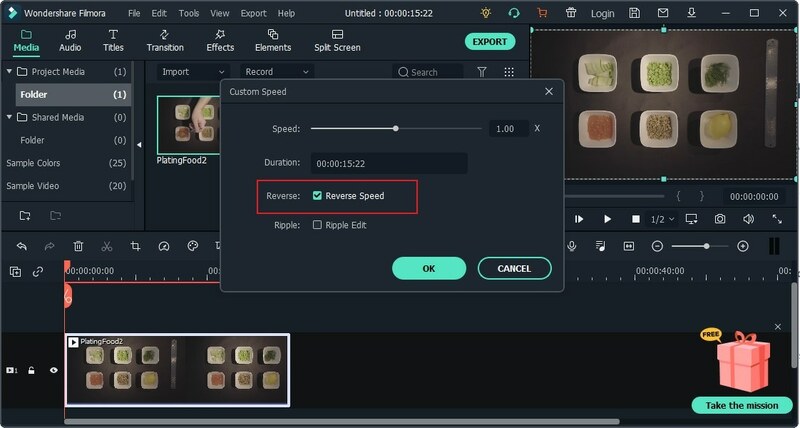 By using the Speed/Duration command available in Adobe Premiere, you can create a backward playing video or reverse video. In fact, Speed/Duration option is there to adjust the speed of a video clip and make high speed or slow-motion videos. However, we are going to use the same tool for the task of creating reverse video. This method supports file formats like MOV, MPEG, FLV, AVI and WMV. Step 1: Open Adobe Premiere and go to “File” menu. Then select the “Import” option. Then browse for the folder where your source file (the original video clip) is and double-click on it. Step 2: Then right click on the clip name which is on the “Project” area of the Premiere interface. Then select the “Speed/Duration” option from the opened menu. Step 3: You will find a box next to “Reverse Speed” option in the appeared dialog box. Be sure to check that box and click OK to reverse the clip you loaded. Step 4: As the final step, click and drag the video clip which you just reversed, onto the time line. Now it is a matter of hitting the play button to watch the clip you reversed. Bingo! Windows Movie Maker is the built-in video editing software on Windows 7. Using Windows Movie Maker to play videos backwards may not look professional at a glance. However, it allows you to play a video clip backward fulfilling the requirement. At the first step, you should have a pre-recorded video in the PC and you should load the video into Windows Live Movie Maker simply by browsing it. Then, as the next step, find the button that says Snapshot. After that, use the Snapshot Button, take a picture of each frame of the video. Make sure to dedicate a separate folder for this purpose, as it will make everything easy for you during the process of reversing. Then find all the snapshots in the dedicated folder and load them back. You should make sure to load them in backwards order. 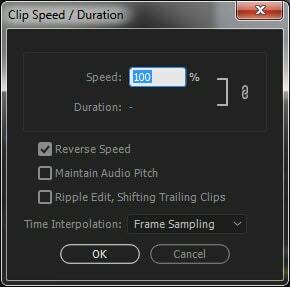 As the final step, set a speed around 0.25 to 0.15 seconds on each clip and you are done! If you are a Mac user, here is a way to reverse your movies using iMovie software. Step 1: Launch iMovie first. As the first step load the clip you want to reverse, onto the time line. Then select that clip. Step 3: Now you should double click the speed slider. However, if the clip was already retimed, you will have to click the speed icon which can be found in the exact center of the clip. Step 4: Next select the reverse checkbox. Then you will be able to see a reverse play icon on the clip and it is all about pressing it. However, reversing a video clip will not change the duration of the video clip. It is a matter of playing the same contents on the opposite way. In any case, if you need to change the speed of the video clip you have just reversed, you should select any speed level but 100 percent. If you want to dismiss it, just click anywhere outside the speed window and that’s it. Magix Movie Maker is a very easy video editing software to use. The features are extremely useful and even a beginner can learn the features of this light weight software pretty easily. It provides you features to reverse play a video with few easy steps. Step 1: Launch the Magix Movie Maker and load the video onto it. 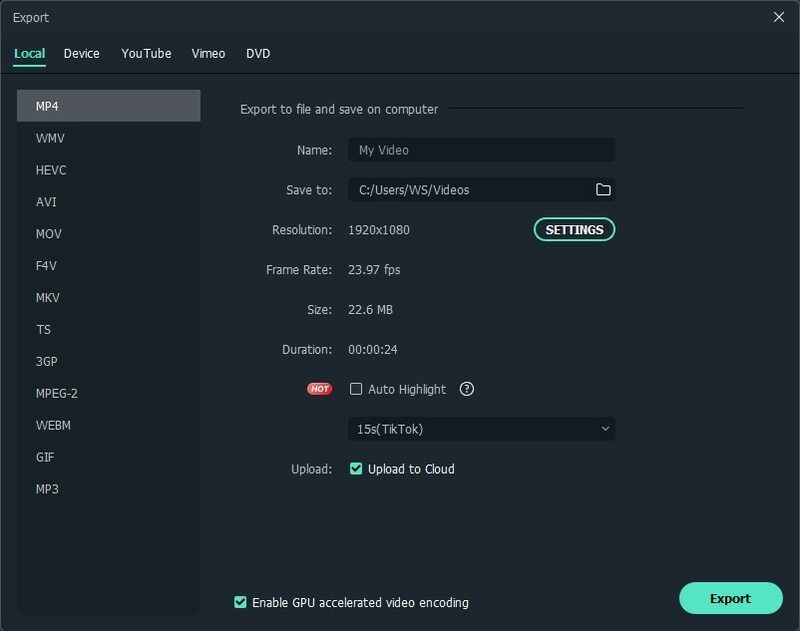 Step 2: Once the loaded clip is selected you should navigate to the “Effects” tab and find the speed setting in the mediapool section (Effects > Video Effects menu > Speed sub menu). Step 3: Now it is extremely easy for you to change the playback time. This feature allows you to change the playback direction too, and that means you can reverse the video. However, when you reverse the playback, you should make sure that audio trach is detached from the original file. Usually video clips come with an audio by default and you can detach them (“Ungroup Objects”) either using the broken chain icon or the keyboard shortcut CTRL+M. Since YouTube has discontinued their Video Editor 2017, if you want to edit your YouTube video and play it backwards, you need to download it first and then use a 3rd party software to achieve it. Use the video editing software mentioned above or just use Filmora9 to playback your YouTube videos in reverse with one click, which allows you to instantly play video backwards and apply a rewind effect to your videos on both Windows and Mac.You can also watch the video tutorial below to see how easy it is to play a video backwards with Filmora9. Filmora9 is free to download. Download to have a try!